Wonder how these amazing patterns form? Mathematically! 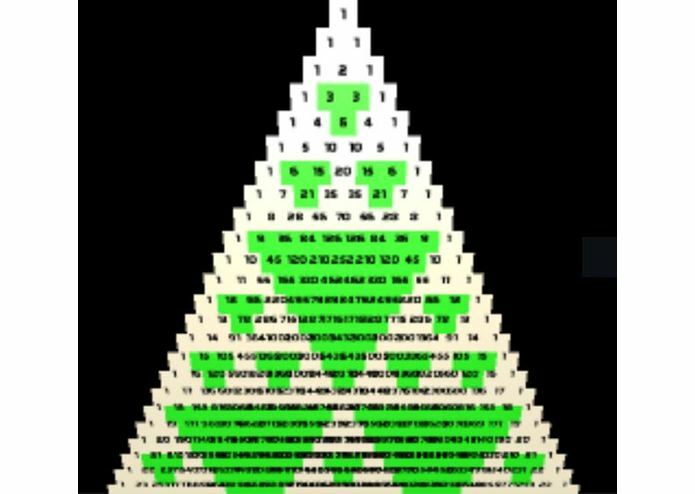 It visualizes Pascal's Triangle and provides interesting mathematical details. From the menu, it is possible to highlight numbers divisible by 2, 3, 4, 5, 6 and 7, to highlight certain interesting diagonals, and more. Out of hardware, we used Samsung Gear VR with Samsung Galaxy S7 Edge. 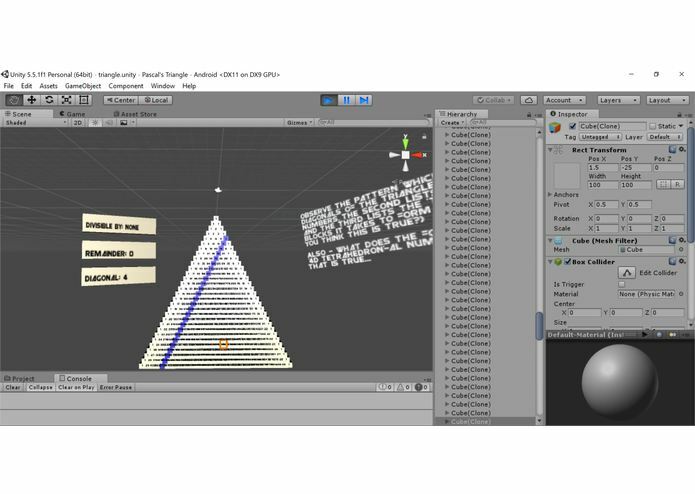 To develop the project, we used Unity and C#. Various aspects of VR development were definitely challenging, since we had never done it before! Making the input work and working with the visuals was difficult, but also fun. Ray casting was probably one of the most difficult challenges, but we managed to get it to work nonetheless. Since we had never done development for VR before, and we managed to finish this product, we're quite happy and proud. We learned that taking up new challenges and working with completely new technologies is not as hard as we thought it would be, and this gives us courage to attempt it again in the future! We improved our coding skills and Unity development skills. None of us had created projects for Android before, let alone Virtual Reality, so there was a lot to learn! There are so many modifications that can be made! 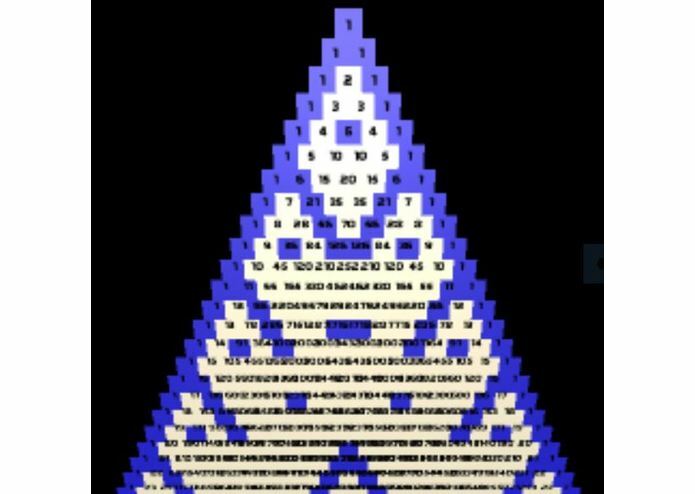 There are many, many more interesting aspects of the triangle worth noting, more descriptions and proofs/justifications of interesting patterns to be added. It excites me just to think about all the mathematical aspects of that triangle that can be explored. I implemented the 3D Text on cubes as a user interface for the Gear VR and programmed a majority of the logic behind generating Pascal's Triangle numbers using various data structures. Also, I coded the logic of how the patterns are displayed. I did some behind-the scenes theorem proving about Pascal's triangle that helped determine which features ultimately showed up in the project. I also wrote the informational passages about the patterns.